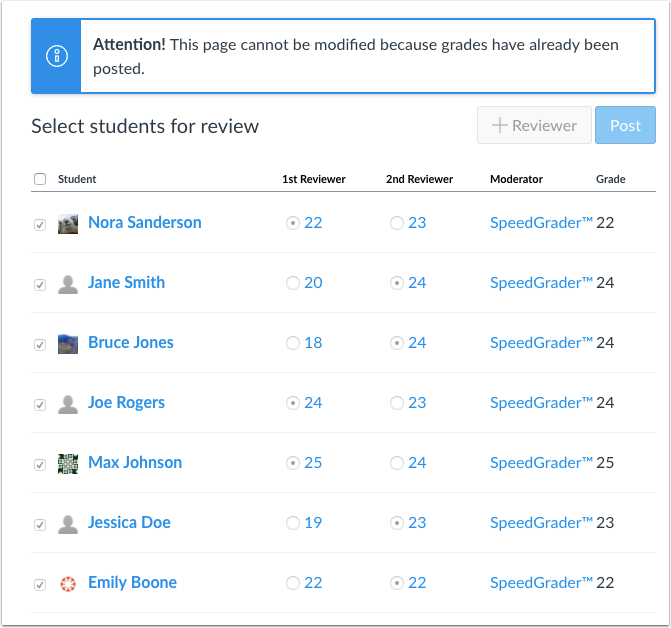 A moderated assignment supports up to two provisional grades and one moderator grade. However, provisional grades are not included in the Gradebook and are only visible to moderators. Students cannot view any comments or grades until the grade is published. 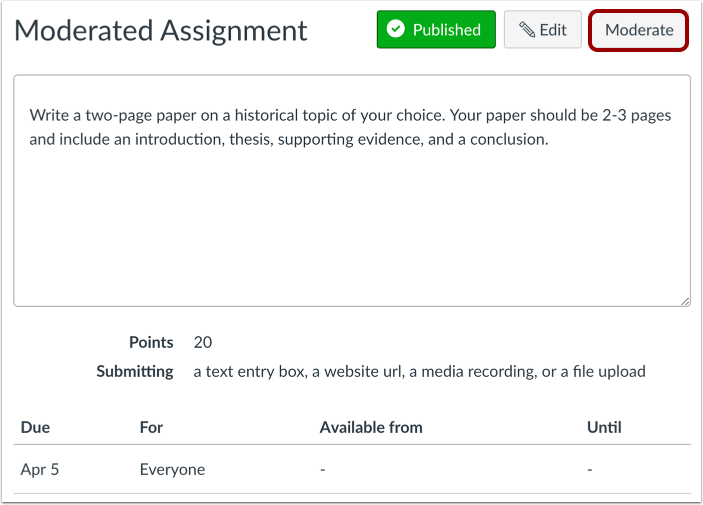 You can either select grades directly in the Moderate page or you can select grades when reviewing the moderated assignment submission and comments. Note: Your assignment must be published before you can add students to the moderation set. Confirm each student has a final grade in the Grade column. If a student does not yet have a final grade, you can apply a grade by locating the grade and clicking the grade's radio button. 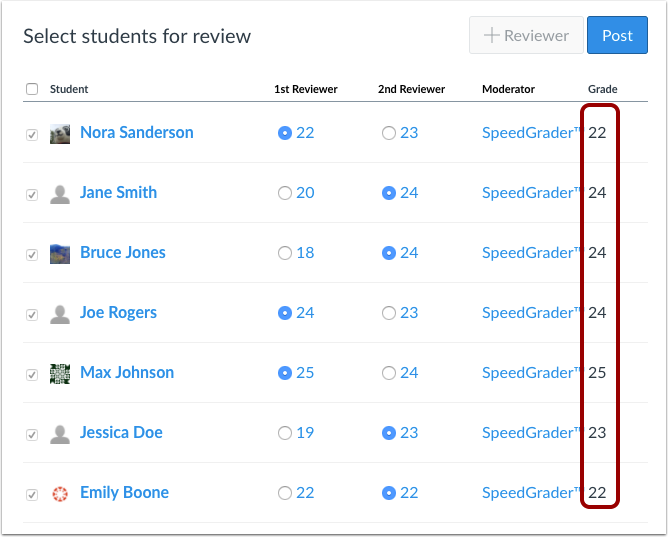 You can also review the moderated assignment in SpeedGrader. Canvas confirms grades were posted to the Gradebook. Grades in the Moderate page cannot be changed. Previous Topic:How do I import grades in the New Gradebook? Next Topic:How do I view the history of all grading changes in the New Gradebook? 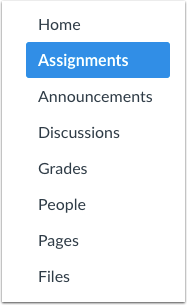 Table of Contents > New Gradebook > How do I publish final grades for a moderated assignment in the New Gradebook? How do I view the history of all grading changes in the New Gradebook?